Hugh Buchanan is an established and successful artist. His fine art pictures of architecture are immaculate. 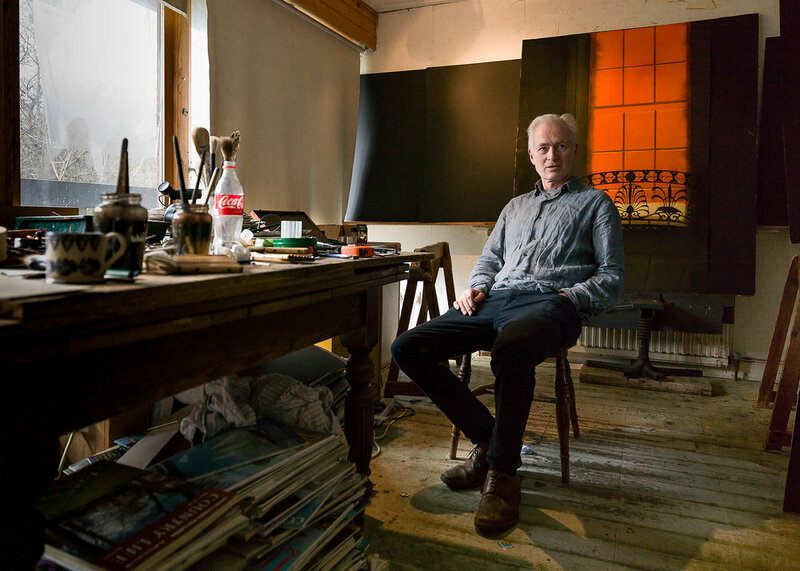 His studio in East Lothian is in his beautiful home. This was taken as part of a commission for The Scottish Gallery. This was a studio composite for an assignment at college.